The seasonal town of Winterville is set to descend upon Victoria Park once more, with this year’s festival promising more attractions and good times than you can shake a multi-coloured candy stick at. Winterville takes place from 26 November to 23 December, and will see ten acres of Victoria Park transformed into a winter town, centred around a clock tower festooned with festive lights. 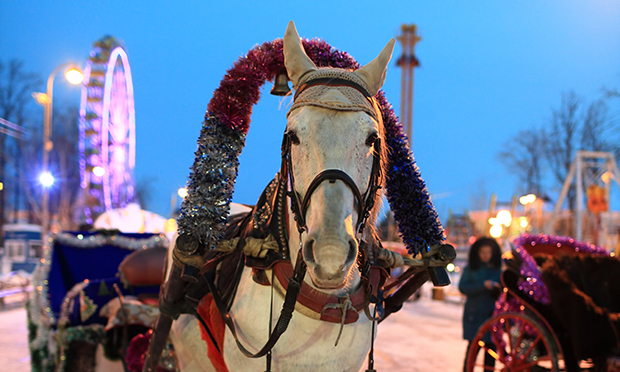 Combining Christmas classics with a contemporary twist is a big part of Winterville’s appeal. Amongst a snowstorm of activities and events, pleasure seekers can parade their skating skills on a 600-square-metre ice rink, or enjoy Winterville’s own circus featuring dare devil feats from the world famous Moscow State Circus. Proving the entertainment isn’t just for grown ups, there’s a chance to experience a reimagined Santa’s Grotto designed by interactive events specialists Bearded Kitten, as well as a Snow White pantomime within the dedicated Kids’ Quarter. Perhaps the only known Dutch Spiegeltent in East London makes a welcome return, housing comedy, cabaret, theatre, DJ sets, live music and more, and for those in need of liquid refreshment after almost certain stimulatory overload, there’s Winterville’s very own local ‘Bar Humbug’ pub, and (naturally, given this is East London) street food galore in the artisan festive markets. Organisations and acts from all over East London are included in the programme, such as Backyard Cinema, who will be curating a five-week season of films inside an enchanted forest called ‘The Winter Night Garden’, only accessible via a secret tunnel of trees. Winterville takes place in Victoria Park from 26 November to 23 December and is free to enter. Ticketed events available include the Ice Rink, Circus, Backyard Cinema and Spiegeltent. To buy tickets and for more information see www.winterville.co.uk.